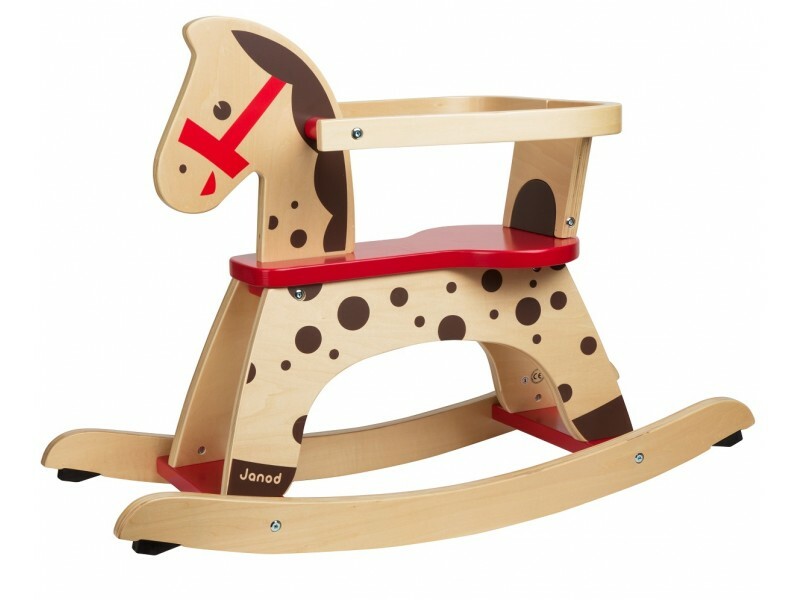 This beautiful wooden Caramel Rocking Horse from French toy maker Janod is perfect for your little ones first rocking horse. 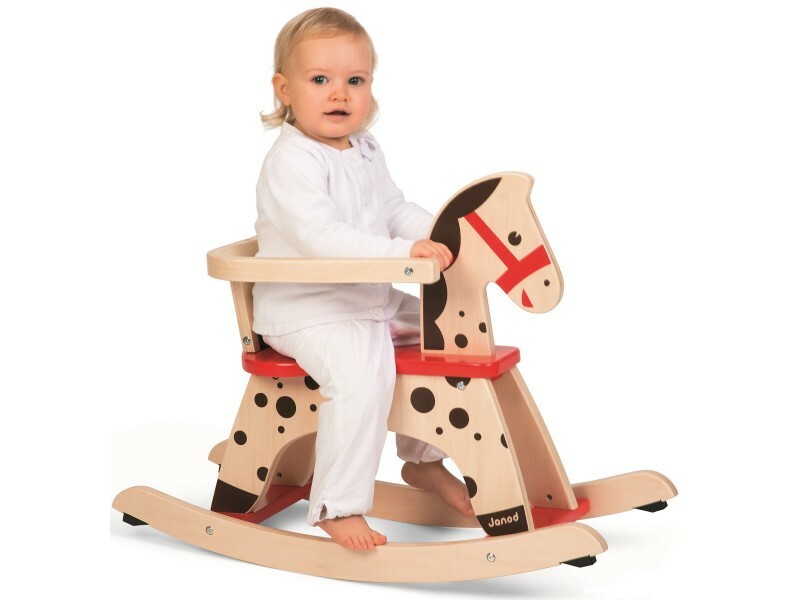 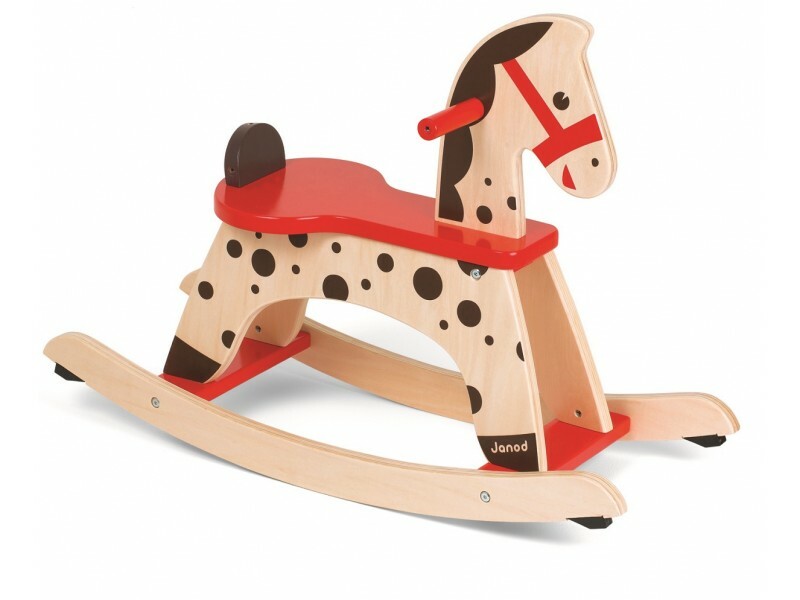 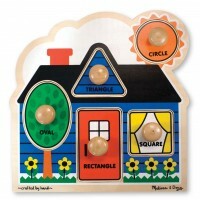 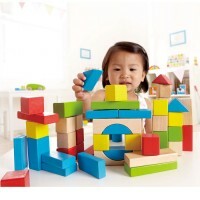 Caramel Rocking Horse is made of sturdy wood and can be used with or without the safety guard hoop. 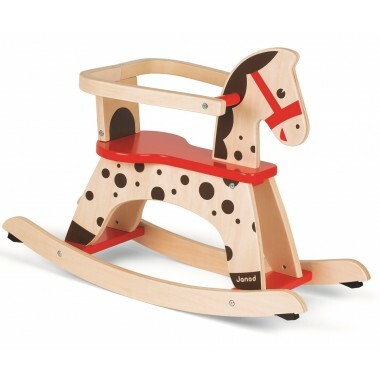 Once baby is old enough the hoop can be removed to create a standard rocking horse. 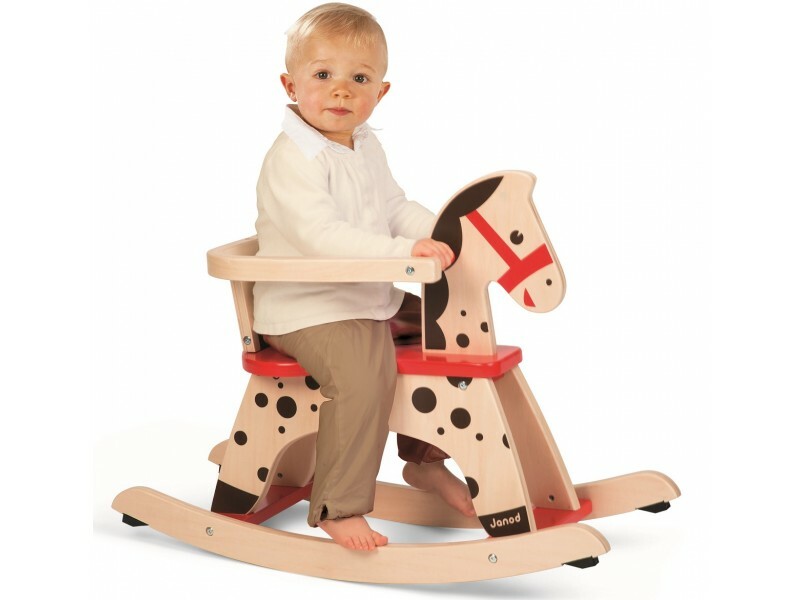 The horse features rubber bumpers on each end to protect your floor surface and provide stability for even the wildest of rides. 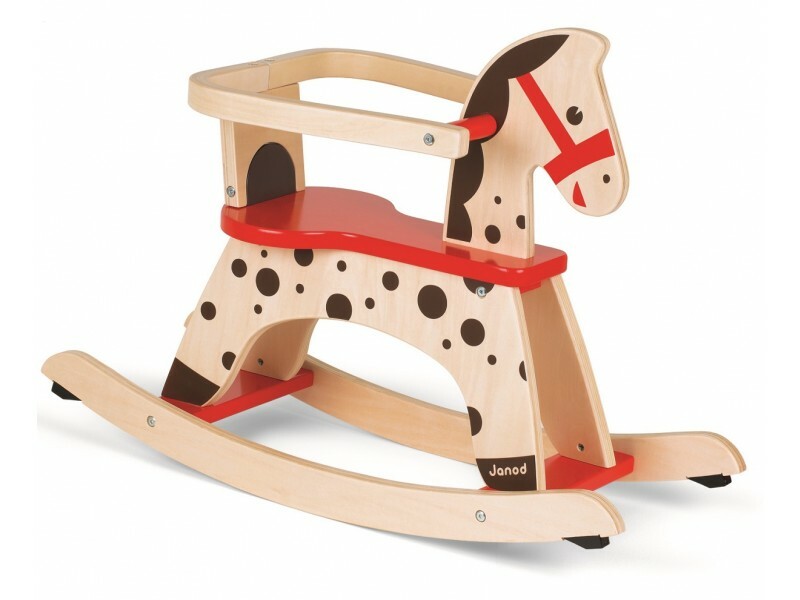 Size: H79cm x W57cm x D31cm Seat Height: 30.5cm from the ground.